The Frame speaker promises to deliver a room-filling, booming Bass. The speaker is claimed to deliver high acoustic sound by the virtue of the MASATNEW Technology, which produces high-quality sound. iBall has launched a new wall-art wooden 'Frame' speaker. 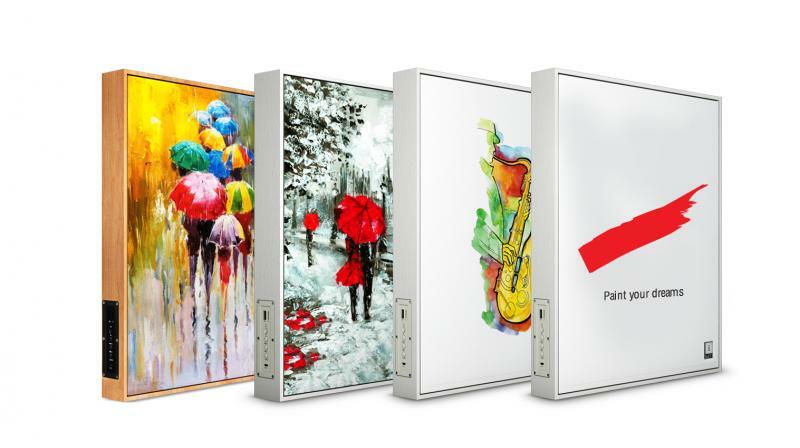 The speaker in Flat Panel Art canvas comes in seven different designs each integrated with a speaker incorporating MASATNEW Technology (Metal Alloy Surface Acoustic Technology). The speaker is claimed to deliver high acoustic sound by the virtue of the MASATNEW Technology, which produces high-quality sound. The Technology is claimed to release wide frequency and detailed sound on the complete front of the Frame speaker. Housed in a wooden case and engineered for bass reflex and DSP (Digital Signal Processor), the Frame speaker promises to deliver a room-filling, booming Bass. The speaker supports multiple playback options, including Bluetooth, Micro SD and FM Radio. It is backed by a built-in rechargeable battery, which promises up to 12 hours of music playback. Additionally, it has a built-in support for TWS (True Wireless Stereo) Technology, allowing you to connect two 'Frame' speakers together. It comes with a remote control. The Frame Speakers will soon be available for purchase at all retail and online stores across India at Rs 11,999.